This funny optical illusion picture was taken outside of a cat sitting quietly on concrete in the sun. 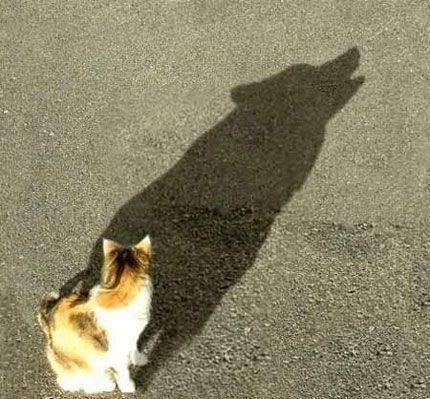 However instead of casting a shadow of a cat which is what you would expect to see in this image, the shadow cast from the sunshine gives the visual appearance that the cat is in fact a howling wolf. The landscape scene in this picture is relaxing to look at. In this image you can see a number of different things including two horses and a rider, also some trees and some rocks. It all looks very peaceful you might think to yourself but if you look carefully there are also eleven human faces hidden in this picture. So take a closer look and see if you can spot any. How many of these faces can you see? Most people usually find about five of them. 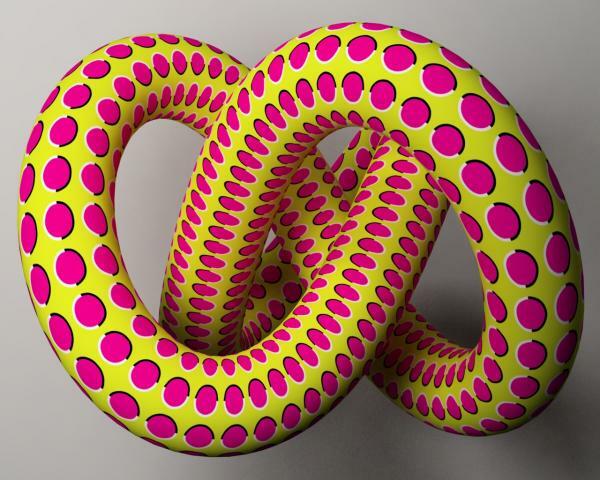 This is an interesting looking optical illusion of what appears to be a rolled up coil. If you cast your eyes over this image you should be able to see the coil expanding. For best results I recommend you move your eyes over it from one corner to the other and it will give you the illusion that the coil is inflating. There is nothing to see in this image you might be thinking to yourself, it just looks like a randomly patterned grey and white box. 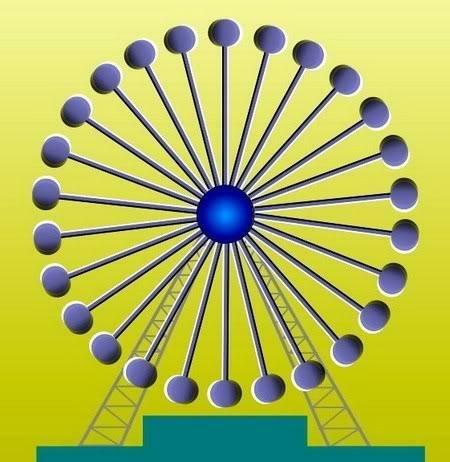 If that is all you can see when looking at this optical illusion then you are mistaken. 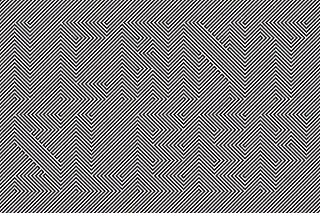 In the picture there is a hidden message, take a closer look, can you read what it says? I will give you a clue - try counting sheep.